The Carolina Fiber and Fiction Center is having its annual Holiday Sale at the Octagon House on December 2nd and 3rd from 10-3. Both Fiber and Fiction, Textiles and Texts will be available for sale. 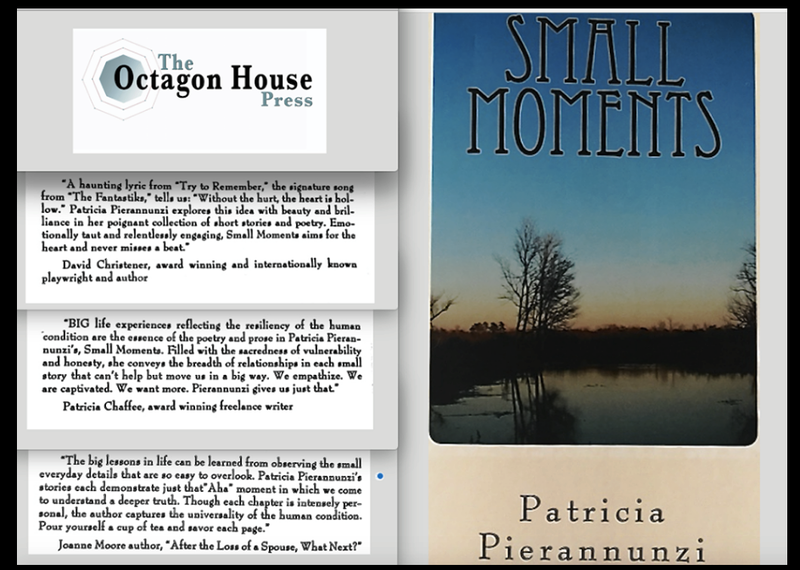 The Octagon House Press, an independent press using digital technology to publish professionally evaluated and edited books, is proud to be offering its first publication, Small Moments, a collection of short stories by Patricia Pierannunzi of Narragansett. Internationally renown playwright and novelist and friend of the Octagon House, David W. Christner of Saunderstown will also have books available for signing.